The Insurance Times Awards is one of the best bashes in the industry calendar. At last year’s event, comedian David Williams had more than 1,200 of the sector’s best and brightest in stitches at the Battersea Evolution in South West London. But winning an award is not just a huge achievement, it also pushes the great work that the industry is doing. AXA, for example, scooped the Insurer Claims Initiative Award for its efforts to strip away legalistic jargon so that brokers and customers alike can properly understand what is and what is not covered by their policies. Now their claims processes are more transparent. “Since we won the award we have made £100m worth of instant claims payments and 50,000 more brokers and customers have tracked their claims online,” says AXA claims technical manager Martin Ashfield. This year’s Insurance Times Awards will be held at the stunning new InterContinental London – The O2 on 1 December. Find out more, put your entry in, sponsor awards and book your table now. Here, four other past award winners from last year’s event explain what the victories meant for them. This trophy now sits in Davies’ new office in the heart of London’s insurance district. Gary Hemsley, Davies’ director for strategic accounts and business development, says the recognition has become “an important part of our sales and marketing activity, helping us explain what makes us distinctive and different from our competitors”. Davies won for its ‘Reimagining Claims’ business transformation strategy. There were a number of threads to this plan, which included a branding exercise, and several acquisitions, including Garwyn, which boosted Davies’ existing liability and specialty offering. The group also established a partnership with Staffordshire University to promote career opportunities and improve the professionalism of the next generation of insurers, with students working closely with Davies management and claims, human resources, IT and finance functions. Davies’ improvement led to impressive account wins last year, including United Utilities and Anglian Water. Hemsley says Davies has “got closer to our clients as a leader and innovator in providing bespoke claims solutions”. 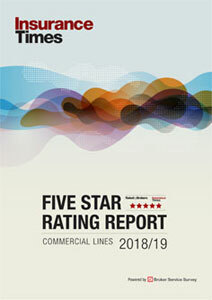 The resulting award was recognition for work that had seen the group outscore its competitiors’ service scores with a figure of 99%, according to review service Feefo. The claims service also had a satisfaction score of nearly 92%, while profit in the 2014-15 financial year soared by 8%. Today, Alan Boswell’s letterheads advertisements and websites bear the award logo. “When your account executives are casually able to drop into conversation we are the UK’s Independent Broker of the Year it cannot hurt,” says [Lee] Boswell. 2015 was a big year for Carole Nash as it marked the firm’s 30th anniversary. Staff marked the occasion by unveiling a life-sized motorbike, based on the first one Carole Nash ever insured, made entirely out of cake and chocolate. The award added to the celebrations, and now sits in the boardroom by the other gong it won last year, for Excellence in Motor Broking. 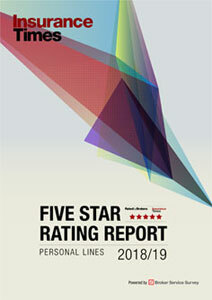 The personal lines victory was based on two policies tailored to clients’ needs: ‘bikers only’ and ‘riders only’ cover. “These were developed following in-depth market research, which included gathering precious insight from our very own Customer Council, a group of bikers working hand in hand with Carole Nash to help us get to the bottom of what really matters to their fellow riders,” says Carole Nash head of marketing Rebecca Donohue. She adds that the recognition “puts us in a stronger position when discussing deals with partners – they know they are dealing with an award-winning business and it instills that extra bit of confidence in them”. Aviva’s win was reward for “hundreds of people on the front line”, smiles director of casualty claims Richard Hiscocks. The insurance giant was keen to take a tough stance on reforming claims, in particular tackling the level of fraud in whiplash. “I’d like to think insurers can take a different stance,” Hiscocks adds. The repudiation rate for low speed impact claims rose from a historic 8% to 58.6% and Aviva even saved money as a result – proving the long-held economic case of rolling over quickly was incorrect. Read more stories from past winners here.